IMPELLITTERI vuelve a escena con el disco "Wicked Maiden", del cual sólo se conoce su fecha de lanzamiento en Japón, el 21 de enero. Greg Reely (DEVILDRIVER, FEAR FACTORY) se encargó de las mezclas del trabajo, en el que vuelve a cantar Rob Rock. "La meta de este álbum", ha explicado Chris Impellitteri, "es hacer un disco histórico que rivalice con "Van Halen 1", "Blizzard Of Oz" de OZZY, "Cowboys From Hell" de PANTERA, "Rising Force" de YNGWIE, "Master Of Puppets" de METALLICA y con incluso nuevos artistas como CHILDREN OF BODOM y AVENGED SEVENFOLD". Viendo el nivel de este tio puede ser la bomba y además de nuevo con Rob Rock. Que llegue Enero ya. Quien aspire a MANDAR que aprenda primero a OBEDECER. 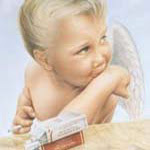 IMPELLITERI ha colgado el tema que da título a su próximo disco, "Wicked Maiden", en su nueva página oficial de MySpace. A finales de enero el disco será publicado en Japón, y a finales de febrero en Estados Unidos. Tiene una pinta que mete miedo. Grupazo y con Rob Rock a las voces. Promete. No podía ser menos viniendo del fantástico Chris Impellitteri. Heavy en su más alta esencia. La web del club de fans de Chris Impelliteri acaba de estrenar en exclusiva el videoclip de "Wicked Maiden", el single del próximo disco de IMPELLITERI. La gran novedad de este disco es, como ya sabéis, la vuelta al seno del grupo del vocalista Rob Rock. Frontiers Music Srl lanzará el nuevo álbum de estudio de Impellitteri titulado "Venom", el 17 de abril en Europa y el 21 de abril en Norteamérica. Frontiers Music Srl is excited to announce the release of the brand new IMPELLITTERI studio album entitled “Venom” on April 17th in Europe and April 21st in North America. With the release of the new album titled “Venom”, IMPELLITTERI deliver a record filled with addictive and memorable riffs, guitar solos that feature Chris Impellitteri’s blistering shredding technique coupled with strong melody and taste. Rob Rock vocals are mesmerizing, melodic, and will make the listener sing along with each song long after the record is over. Lastly, the band boggles the mind with brutal drumming (featuring John Dette, ex TESTAMENT, SLAYER etc) filled with speed and groove and beastly bass playing (curtesy of James Pulli) that supports IMPELLITTERI’s sonic madness! The result is a record that excites and musically satisfy every Metal and Rock fan, and every musician around the world. 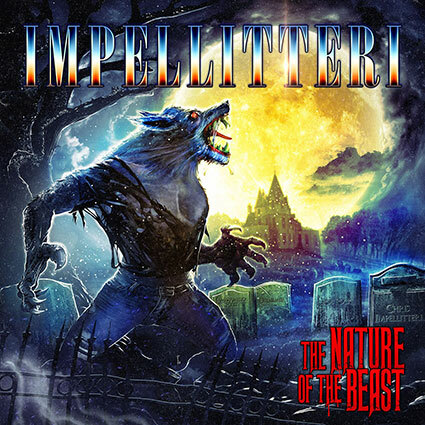 To add to their quest, IMPELLITTERI also wanted to create music that would take the listener on a musical journey thru different time periods of metal and rock. Chris Impellitteri is heralded as one of the world’s greatest guitar shredders. He has won Best Rock Guitarist Awards on several magazines during the years for his guitar soloing. He is the first guitarist to be branded as the fastest guitarist in the world by the international media. Recently and without any promotion, Impellitteri was officially voted 2nd fastest guitarist in the world by “Guitar One” magazine; and “Guitar World” magazine recently listed Chris Impellitteri within their top 50 fastest guitarists of all time! Chris Impellitteri formed IMPELLITTERI in 1987, together with Rob Rock as vocalist. 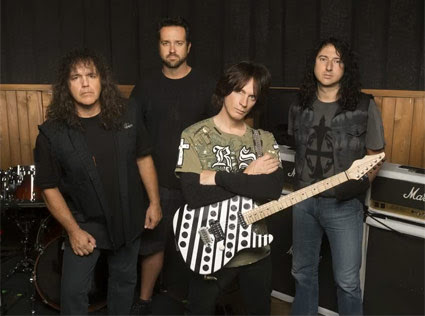 That year, they released an EP called the “Black Album” which was well-received, and IMPELLITTERI went on to release the full-length album “Stand In Line” in 1988. 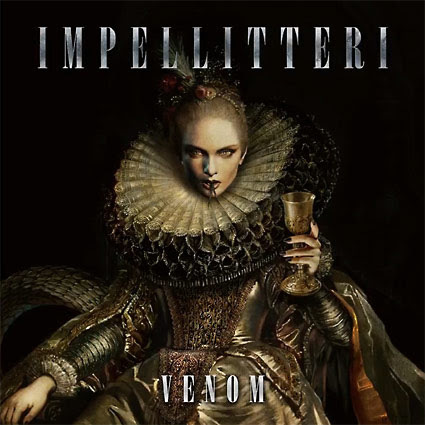 As of today IMPELLITTERI have released a total of 9 acclaimed studio albums and the new record “Venom” follows after 2009’s “Wicked Maiden”. During the writing and recording of the new album “Venom” the band pushed the limitations of their artistic abilities in both performance and composition. All musical areas and ideas were explored with only the best recorded. IMPELLITTERI: nuevo disco "The Nature Of The Beast"
Impellitteri lanzará su nuevo álbum de estudio, "The Nature Of The Beast", el 12 de octubre a través de Frontiers Music. IMPELLITTERI: nuevo tema "Run For Your Life"